These are the bells of St. David's Cathedral, Hobart, Tasmania. 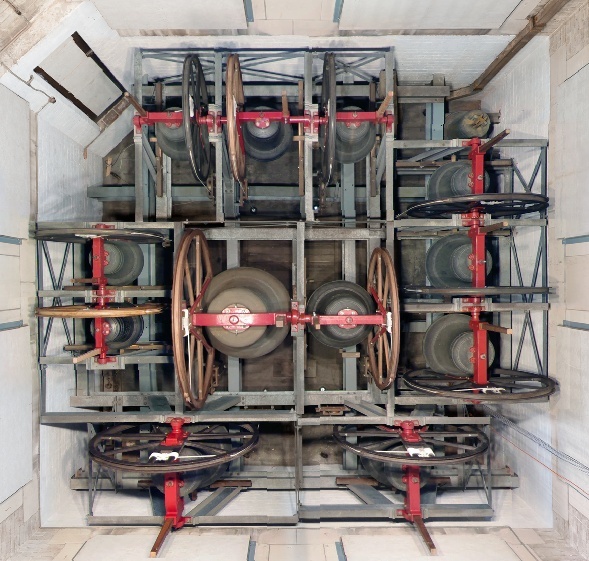 The photography was done in 2011 and shows the bells after they were augmented in 2005. Before then they were a 14cwt eight (images for the original installation are also included on the disc). The augmented bells are a 21cwt ten with sharp 3rd and sharp 7th (thus retaining the original eight as a light eight). 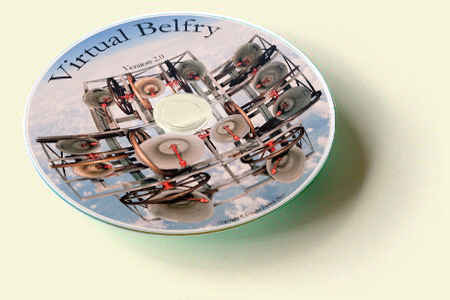 In Virtual Belfry they are tuned as a twelve to allow the program to support twelve-bell ringing complete with images, but they are also provided in their natural tuning as another tower option. Note: The images for the original eight bells of St. David's Cathedral, Hobart will also be provided when you purchase the above images.